Today I thought I'd share two cards using the same piece patterned paper in two very different ways. 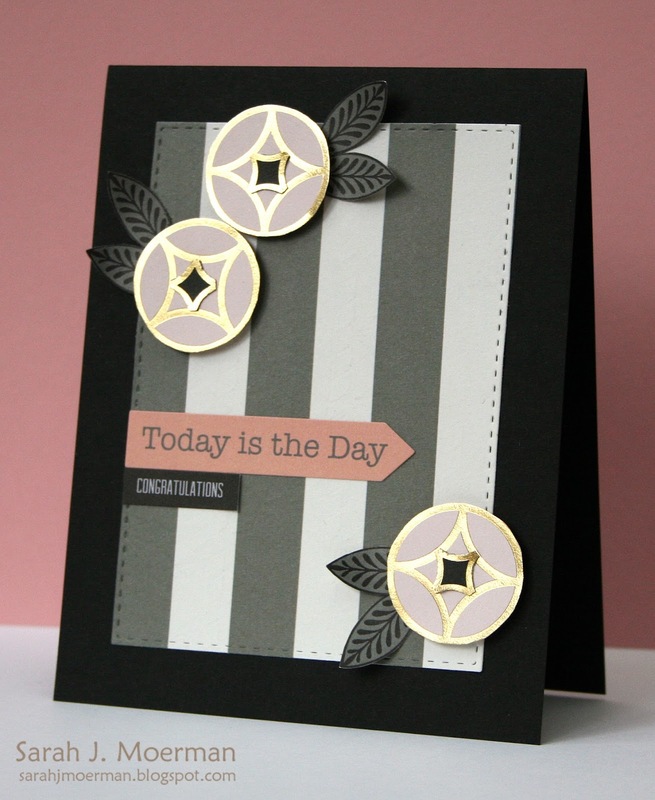 For this first card I used some the gorgeous My Mind's Eye Fancy That grey/black tiled paper as a background piece. I die cut some Simon Says Stamp heart dies and coloured them with my Clear Wink of Stella Marker before adding a My Mind's Eye Fancy That 'Mother' sticker sentiment. For my second card, I cut out the leaves from the tiles to use with the flowers I created from some of the other My Mind's Eye Fancy That 6x6 patterned paper. The rectangle piece was cut using Simon's Stitched Rectangles die set and the card was finished off with a couple of My Mind's Eye Fancy That sentiment stickers. 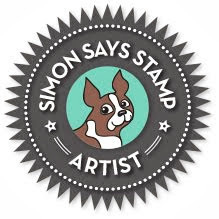 Just a reminder that you can pick up the Simon Says Stamp May 2015 Card Kit HERE for just $29.95 + shipping. If you'd like to receive this kit and future kits for only $24.95 + shipping per month, you can SUBSCRIBE HERE. Also, sweet Heidi, owner of Simon Says Stamp, has given me an extra May Card Kit to pass on to one of you! Just leave a comment on any or all of my May card kit blog posts and I'll announce a winner Monday, April 27th. You combined the different elements in this kit wonderfully! Beautiful cards. I love the colors of paper in this kit. 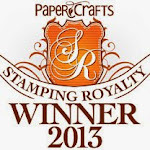 The stamp set rocks as well. You have done Amazing things with these gorgeous papers, again! Thanks for sharing these Fabulous cards! Wow, these are beautiful! 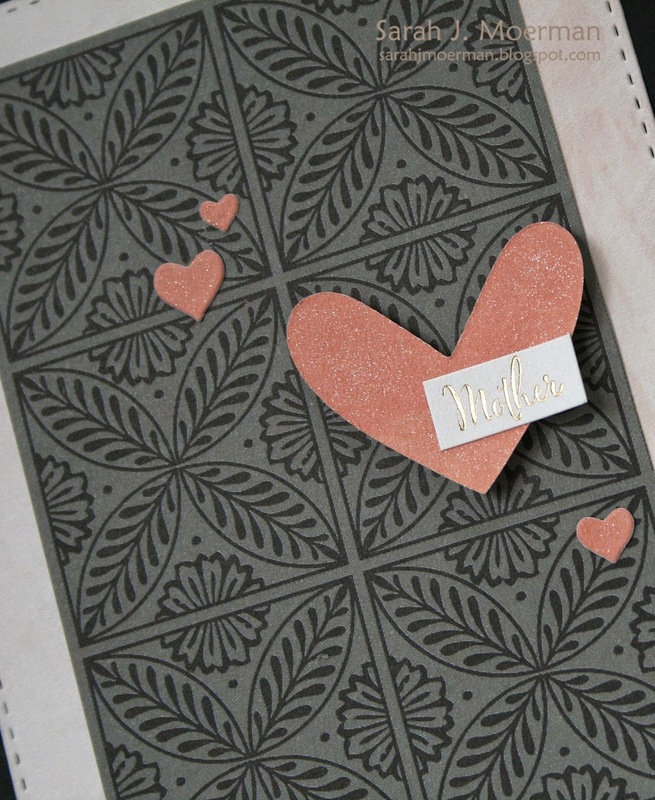 That patterned paper is gorgeous as a base AND embellishments! 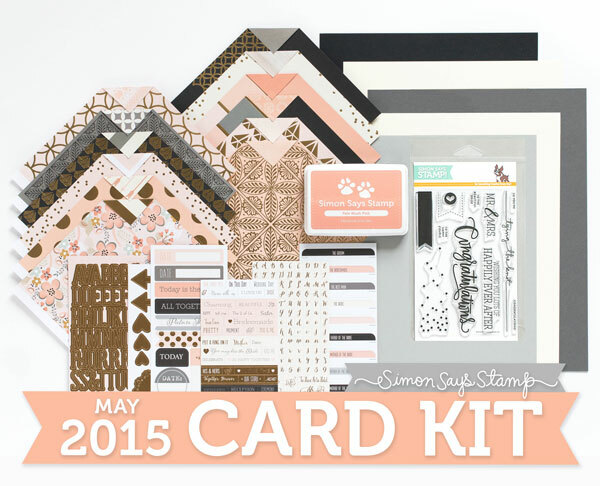 You're really rockin' this May Card Kit. Love your cards. I really like both of these cards. At first glance this looks like just a wedding kit, but it is very versatile. both cards are so elegant! and so beautiful!!! More great designs & gorgeous cards, Sarah! It looks as though SSS Card Kits have some great products in them! These are both gorgeous cards, such elegant designs!!! That paper is so cool. Looking forward to seeing them up close. Great way to use it in different ways. Wonderful cards! I love the paper on the first one, the heart fits in there so perfectly! These are both so classy! I love that grey tile paper. Beautiful cards Sarah! Fabulous cards!! Great way to show off the pattern paper and stickers!! These cards are awesome! so elegant! love that mother's day card! Both are absolutely gorgeous Sarah! Wow these cards are amazing ! I really love the elegant look of the first and graphic look of the last. So classy! Love the beautiful papers in this kit. Both of these cards are stunning, Sarah! Love them, and I can't wait for my kit to arrive! Wow, both your cards are gorgeous. 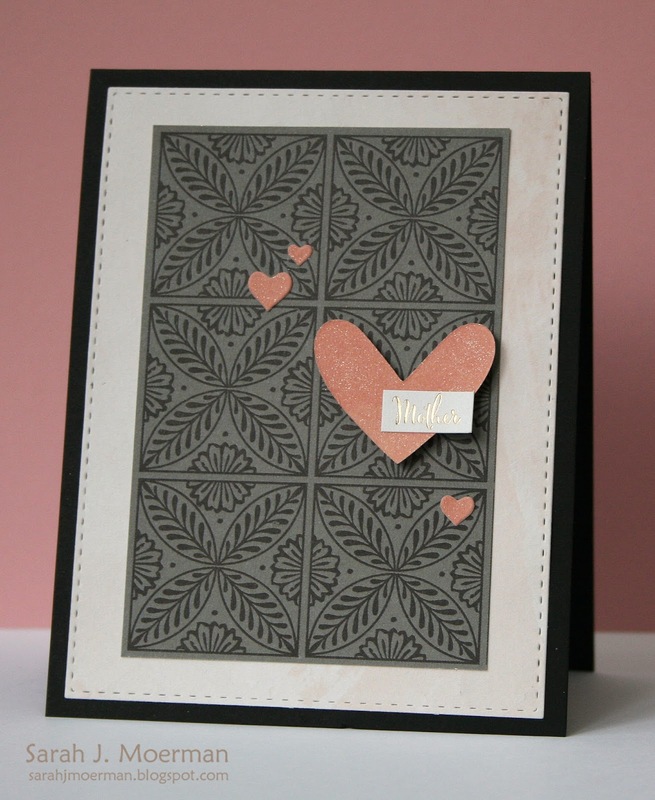 Love how you used the amazing papers from this card kit. Thanks for sharing. Both cards are super gorgeous. I really like the grey pattern paper from the kit. I wasn't sure about this color palette when I first saw the card kit but you have completely sold me. It is so elegant! Perfect for wedding cards (which I also need). Both cards are wonderful! Love the way you made 2 different cards using the same paper. the dark color in the papers, looks so beautiful!!! Love these cards... I think out of the two, the first is my favorite.